Wether it be your hair, beard or moustache*** we have a comb suitable for any grooming task. 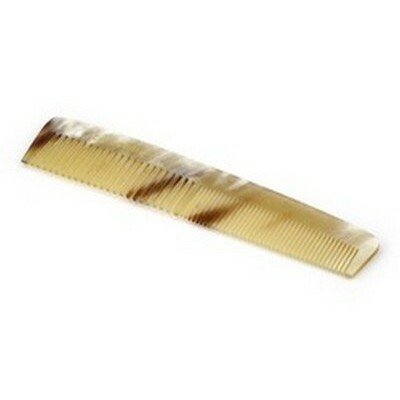 Our range includes genuine horn combs and imitation tortoise shell combs. Cyril R Salter 5 inch genuine horn comb. This handmade comb has both coarse and fine teeth. Cyril R Salter 6 inch genuine horn comb. This handmade comb has one size teeth. Cyril R Salter metal comb. This 15cm comb features both coarse and fine teeth. Janeke hand made comb. Produced in Italy, this ivory comb is 6 inches long and has both coarse and fine teeth. 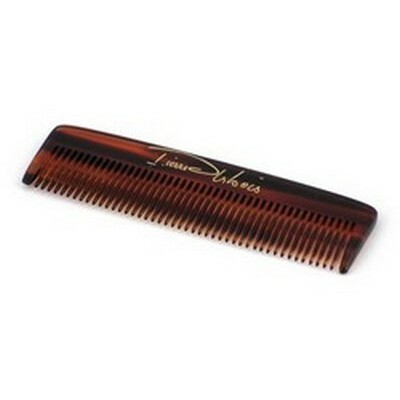 This Pierre Arblois beard comb is faux tortoishell and ideal for keeping your beard or moustache looking neat and tidy. Zeus saw cut beardcomb. 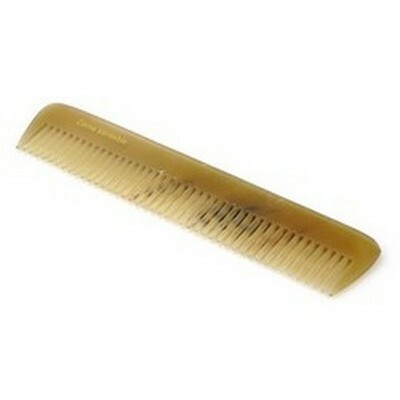 This comb has been saw-cut and hand-polished for smooth passes through your beard. Made from pure plant cellulose to reduce static buildup. The fine teeth with rounded tips massage the skin beneath rather than scratch. Medium and fine-toothed sides for untangling and styling your beard. Dimensions: 6”L x 1”W | Teeth Length: 0.5".